I spent the first hour of a recent trip in a rental car line. While a man nearby taught me a few new interesting words, the customer at the counter struggled to complete a reservation she made months before. Most companies place credit card holds during a rental period. The security measure is released after the vehicle returns. This lady’s hold was $750, but the limit on her credit card was $500. She offered cash or her debit card, but the clerk couldn’t accept it. She called the card issuer, but her limit couldn’t increase because her account was too new. Eventually, she left without transportation for her trip. Too often, consumers are locked out of purchases because of low credit limits. In an age where plastic payments are the norm, shouldn’t your credit card be as flexible as you are? The definition of Fair credit varies depending on the credit scoring agency. In most cases, scores in the 600s will fall into the Fair category. Those scores should open borrowers to rates slightly better than subprime, but still a step below consumers with Good credit. The Capital One® QuicksilverOne® Cash Rewards Credit Card is a best-of-both-worlds option because it allows higher potential limits (reportedly up to $5,000) with the ability to eventually upgrade to the regular Capital One® Quicksilver® Cash Rewards Credit Card (regular 16.24% - 26.24% (Variable) APR) that sports no annual fee and higher potential limits. 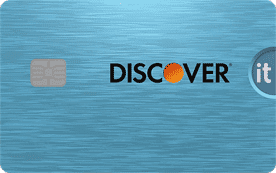 And unlimited 1.5% cash back rewards push this card to the front of the fair-credit pack. Initial credit limits vary depending on creditworthiness, but Capital One® reviews all accounts after the first five months of membership. With a clean payment history in that time, limits are typically raised, and continue to increase every six months if you have no late payments or your credit score doesn’t decrease from outside factors. Rewards cards are all the rage among consumers who want to get the most bang for their buck. Recent surveys show as many as 86% of Americans have a rewards card in their wallet. Those numbers seem to increase each quarter, as issuers challenge each other to increase perks. Benefits are no longer reserved solely for applicants with excellent credit. Issuers are now making room in the rewards market for fair-credit cardholders with unsecured options for consumers rebuilding their credit history. 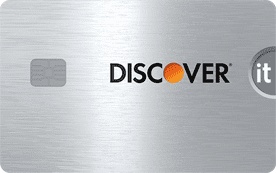 While these cards offer decent rewards, the exact rates, fees, and credit limits offered will, of course, vary based on your credit profile. 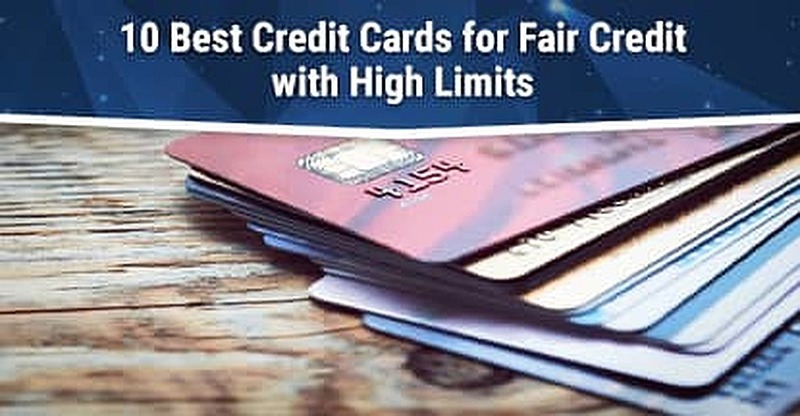 Reviews show typical fair-credit applicants for the cards below start with a limit between $300 and $750, but see an increase after regular payments. Despite the popularity of rewards cards, 31% of cardholders don’t redeem the rewards they earn. Those numbers are alarming when you consider that many of these cards charge an annual fee for access to the benefits. It’s like paying for your groceries and leaving them at the register. Rewards are great if you make regular charges to your account and pay them off that month. Your day-to-day spending can earn a small stockpile of savings that builds over time — and, hopefully, negates any annual fee. If you’re the frugal type and don’t use your card outside of emergencies, you’re better off skipping the rewards and going with a card that doesn’t charge you simply to own it. Annual fees are an annoying part of being a cardholder. It’s hard to remember each year when they’re due, and an unexpected $75 charge can dampen your plans for the weekend really fast. Our expert-rated picks below won’t charge you an annual fee for the pleasure of being a cardholder. Reviews from Capital One® Platinum Credit Card cardholders report multiple credit limit increases — some by as much as $1,000 at a time — within the first year of membership. A revolving line of credit is paramount to the functioning of any business today. Unexpected expenses arise that tight budgets don’t always account for. Lower credit limits won’t cut it when a computer dies or a last-second meeting is called three thousand miles away. Don’t fall into the thinking that your business has to be a large corporation to qualify for a business card. Some cardholders of the Capital One® Spark® Classic for Business say they had low expectations for approval, due to their business being new and their credit score in the low end of the Fair range. Despite those hurdles, reports of credit limits that start between $1,000 and $2,000 are common. Access to credit not only helps you with emergencies, it can take your business to the next level with the ability to purchase upgrades or new equipment to keep things running smooth. For most businesses, a low credit limit just won’t cut it. Make sure that any card you apply for meets your needs and offers the flexibility to grow alongside your enterprise. Nothing is worse than showing up on the first day of class to find a professor that requires multiple books that you know you’ll never use. Still, the expense won’t go away. Students spend, on average, $1,168 on textbooks and materials each year. Most of those expenses happen early each semester, which boosts the need for credit at certain times of the year. Several issuers offer student-based cards that provide features young consumers need. For example, some offer APR breaks based on GPA, while others offer discounts on cellphones or cash back rewards for everyday necessities. Examine each card closely and decide which is best for your needs. Higher education is expensive. Besides the in-class costs, pizza, beer, and Pop Tarts can get really expensive over a four-year period. Student credit limits often start small but can increase quickly with responsible usage. The most important step in building your credit score is to make on-time payments and keep your expenses limited to what you can afford to pay off each month. It’s easy for many consumers to think they’re stuck with lower credit limits because they have a limited or tarnished credit profile. Moving up to good — and eventually excellent — credit takes time, but it’s achievable. Credit card issuers face steep competition from banks and outside companies, like Paypal. In an effort to earn your business, cards are created that meet the needs of the full gamut of credit-seekers. Higher limits also increase your purchasing power and help you improve your credit standing over time. Issuers like Capital One® make requesting credit limit increases easy with a simple questionnaire in the online portal that can be filled out as often as you’d like. Limit increases, though, are typically only granted about once every six months after an introductory increase, and often require a hard credit inquiry. If you’ve read to this point, it’s obvious you’re serious about improving your financial well being. That dedication will pay off over the long haul with credit limit increases that give you the security and peace of mind that you’ll need when emergencies pop up. It’ll also protect you from grumbling old men that invent new curse words every time the line at the rental car counter slows down.